With the pound currently at 1.35 against the Euro, it is a really great time for British travellers to go abroad this year, but an expert travel writer has revealed that Turkey offers great value for money. 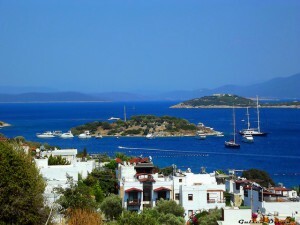 Despite Turkey not being a part of the Eurozone, people looking to go on singles holidays or another type of holiday should head to Turkey if they want value for money. Travel columnist, Nick Trend, reveals in his article on the Telegraph website that Turkey gives “better value for money over all” and that the pound is currently worth around 30 per cent more than the Turkish Lira than in 2011 and 2012. The cost of living and accommodation in Turkey is also lower than the rest of Europe. For solo travellers who want to go to a country within the Eurozone then Portugal and Spain offer the cheapest accommodation, lowest living costs and most affordable airfares. The South of France and Italy are also set to be much cheaper to visit this year than in recent years.